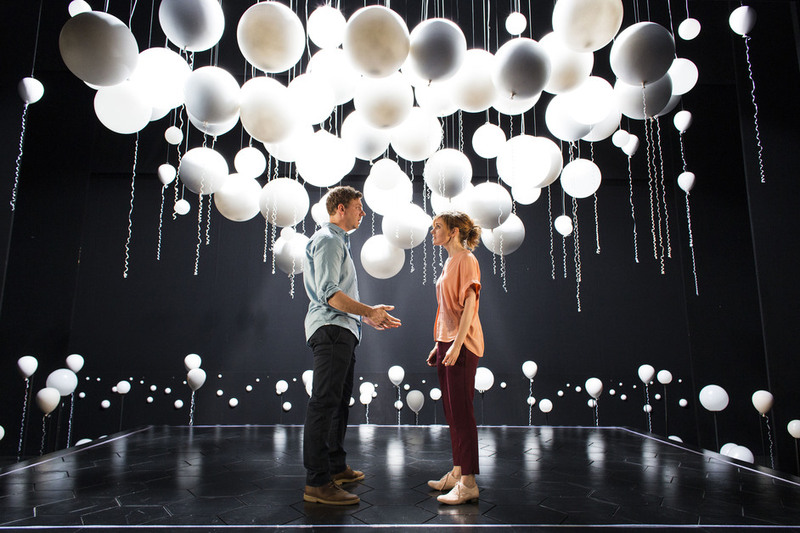 Nick Payne's award-winning Constellations comes to Trafalgar Studios for a three week run this summer. The last of three Royal Court productions to transfer to the Duke of York's in the West End in 2012, Constellations is an "exceptional new romantic drama packs more into an hour or so than most manage in three" (wrote Charles Spencer in The Telegraph). Starring Joe Armstrong as Roland and Louise Brealey as Marianne, Nick Payne's intimate play about free will and friendship "achieves a powerful undertow of emotion" (The Telegraph). Directed by Michael Longhurst, the story begins when Marianne, a theoretical physicist at Sussex University, meets bee-keeper Roland and they start a relationship. Payne, "a fantastically idiosyncratic and sharply observant playwright" (The Guardian), and director Longhurst - whose other credits include Bad Jews - partner up again. Longhurst?s star is clearly on the rise - he also directs Caryl Churchill's 'A Number' at the Young Vic from early July 2015. What are the best dining options near Constellations London? Constellations gyms, sporting activities, health & beauty and fitness. The best pubs near London Constellations. Constellations clubs, bars, cabaret nights, casinos and interesting nightlife. Where to have your meeting, conference, exhibition, private dining or training course near Constellations. From cheap budget places to stay to luxury 5 star suites see our deals for Trafalgar Studios hotels, including The Grand at Trafalgar Square from 77% off.